Around a month ago, Google made drastic changes to the structure of their adverts in search results, and we can now see some of the effects of this change. Search Engine Land have reported that first page bids have increased by around 15% compared to this time last year, which is likely due to more aggressive competition to get the coveted 4 spots at the top of the page. These changes aren’t necessarily permanent; there is always a period of adjustment when Google makes a change and advertisers could be panicking which drives prices up, but when they get used to the new layout they would see that there’s no need to bid quite so aggressively. However, a lot of advertisers have found that Adwords just isn’t effective for their industry or they have been priced out of it. We have seen that first page prices have been steadily rising as competition increases, so businesses who could comfortably advertise and justify the investment 3-4 years ago are now finding that their standard Google budget doesn’t buy enough conversions to justify the spend any more. Luckily, there are a number of alternatives that let you advertise online – usually on a Pay Per Click basis. Twitter finally turned a profit but has a net income of just $7 million. 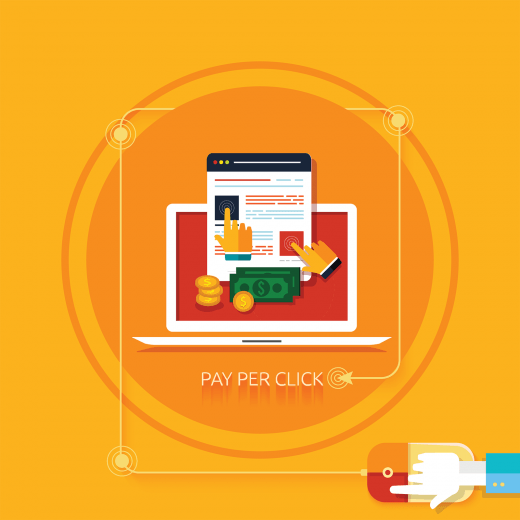 Despite the struggle and figures, it’s a fantastic opportunity for advertisers and offers clicks at a fraction of the cost of Google. Unlike Google, you can target particular businesses (such as competitors) and interests when creating your campaign. This way, you expose your adverts to an audience that already have an active and sustained interest in your product or industry – while this isn’t quite as inbound as a specific search for your product/service, it does offer the opportunity to poach your competitors’ audiences quite easily. While Facebook has far more users and better geographical targeting, Twitter ads products higher Click Through Rates with a smaller investment. Ads also reach a smaller audience so while they may have fewer impressions, the engagement rates are far higher. Our own clients have seen success on Twitter with quite modest budgets. The example below spent just £75 per week for up to 612 clicks, with consistent improvements in click through rates and average cost per click. The top results were after just one day, targeted at UK Twitter users following their competitors. At just £0.08 per click and 273 clicks in one day, the same client was paying 10 times the amount per click on Google for lower conversion rates. Facebook offers considerably better geographical targeting, as well as targeting based on interests, pages that the audience follows, and other unique information such as age. The fact that users give Facebook so much personal information means that it’s perfect for advertisers looking for a very niche audience or just anybody who wants a very targeted campaign. The same client listed above saw an average cost per click of £0.17 with much larger impressions but a lower engagement rate on this platform. The campaign was very geographically specific, but targeted all users within that region and the interest group, rather than just advertising to their own page followers to boost a post. As Facebook’s algorithms have crippled reach for the majority of pages, a little Facebook advertising is a necessity for most businesses, if only to boost important posts and make the most of high-traffic periods such as January sales. If you’d like to target an audience rather than keywords, looking at relevant websites is a great way to reach a new audience. Sites that offer advertising will have information on their traffic levels and should also be able to offer stats on their click through rates and case studies from other advertisers. Depending on how sophisticated their system is, you may have to pay per month or per thousand impressions, rather than per click. You may also consider programmatic advertising, which simplifies the buying process across multiple sites but will usually require much larger budgets. We recommend taking a good look at the website and competition before making a commitment. Some times artificially inflate their page views, for example, by forcing people to click through multiple pages to look at a single post (you’ve probably seen these types of articles and been a little irritated by them youself, especially when there’s an advert halfway through and you accidentally click on it). Consider the ad placement, relevance to the content, and see whether you can run a short experiment before making a longer commitment to the site. Promoted content (such as a blog post) is an excellent alternative to simple banner adverts if you can offer valuable information or a unique perspective. You also benefit from posts on their social platforms as well as their usual site traffic. While there are always online case studies on various social platforms and how they perform for advertisers, the best way to find out what works for your business is to experiment. Luckily, you can do so for just £20-30 on social and you’re likely to see a considerable number of clicks for the money. It’s incredibly important to have a usable mobile site for this type of advertising, since the majority of social users are on mobiles/apps – a simple check out process and minimal attrition will help you make the most of those clicks and improve your PPC conversion rates. If you want to find out more about PPC and social advertising, get in touch!